Times Books, 2010-04-13. Hardcover. Like New. First edition. 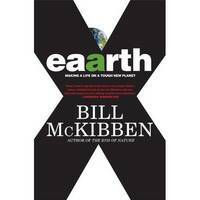 Bill McKibben is the author of more than a dozen books, including The End of Nature , Enough: Staying Human in an Engineered Age , and Deep Economy . A former staff writer for the New Yorker , he writes often for Harper's , National Geographic , and the New York Review of Books , among other publications. He is the founder of the environmental organizations Step It Up and 350.org, a global warming awareness campaign that in October 2009 coordinated what CNN called "the most widespread day of political action in the planet's history." He is a scholar in residence at Middlebury College and lives in Vermont with his wife, the writer Sue Halpern, and their daughter.